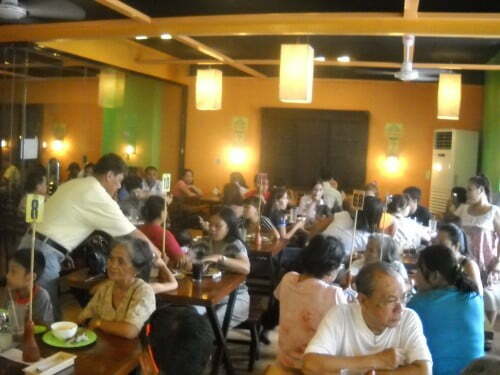 If you have eaten at Mang Inasal and would like to comment on your experience, please do so here so others will know what to expect when they eat there. If you have any further information on Mang Inasal, please provide it to me so I can keep this post as up to date as possible. 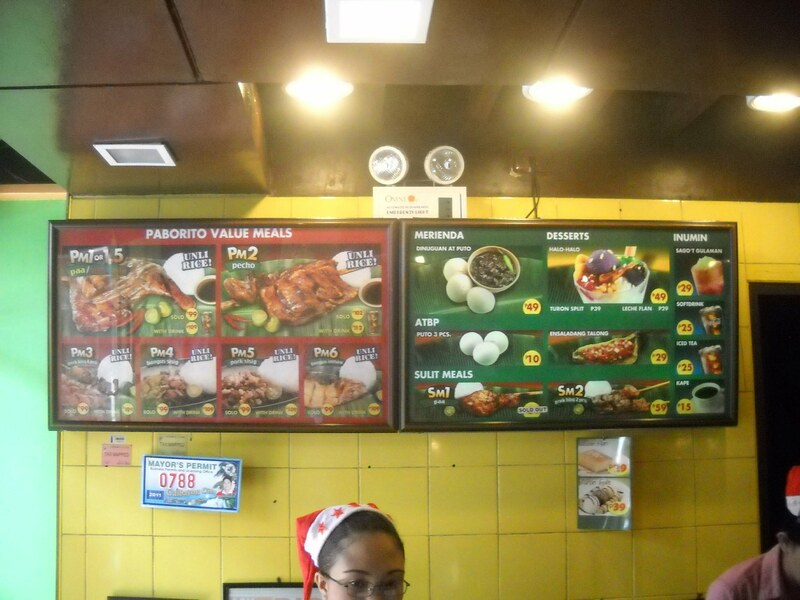 Mang Inasal serves one of the best tasting Inasal, grilled chicken, here in the Philippines. Also don’t forget their unlimited rice serving. I have been there a few times and I do not have a problem with their food, but the service has something to desire at times. Howdy Richie. I’m glad you took the time to leave a comment on the site. Of course I’m even happier that you read my site. I don’t eat halo-halo myself, but my wife and all the relatives love it. I’ve never actually tried it though because it just looks wrong. Maybe I will someday. I don’t believe that she has ever eaten any halo-halo from Mang Inasal, but she loves the one at Chow King. So you will be retiring here in 2015. I suppose you already have the property and ready to build or already have a house? It seems that more and more expats are finding there way to our little section of the Philippines. I guess that is good and bad. Good to have someone to talk with that actually understands your slang and warped sense of humor, but bad because it’s getting more crowded. The good outweighs the bad, so I’m good with it. We’ll be glad to have you here. Please feel free to recommend websites and/or if you have a story about the Philippines that you’d like to share, I’d be happy to post it on the blog for you. It’s been a while since I visited your site. About halo-halo, one of the best in the Philippines is Razon’s Halohalo. Try and you will not regret it. We ate there probably 2-3 times during lunch hour on our stay last year in Calbayog because it’s just a step away from Almira’s. I’m not really a fan of Mang Inasal but the food taste same as in the branches in Manila. One of the reasons of going to the province is to taste a laid back lifestyle but alas! we found downtown Calbayog to be well, just like little Quiapo in Manila and found ourselves surrounded by fasfood chains like Mang Inasal, drugstores (Mercury etc). I never stayed at Almira b4 too many stairs, I’s Plant more my style and a great restaurant there too one the best American style breakfasts i town,Personally I recommend the Marju Krisel to new comers to Calbayog that I know, its a bit out of town but does not take long to get the knack of hailing rides into town, with a great bar, restaurant, 2 pools, clean comfy rooms for P1100 a night its hard to beat plus the small zoo of local animals they have right along side the river. But you gotta get a block or more away from downtown to sample street vender’s, mom and pop eateries, at ot near Nijaga park a good place to start specially at night when they have the 2 sided, actually designed from native waterfalls , display lite up. I’ve been meaning to try out the restaurant at I’s Plant and SO Cafe too. But, as usual, I procrastinate and never get any of it done. I will someday though. I also recommend the Marju Krisel to newcomers. I will let them know though that it is a bit out of town. I hope that the hotel section I have on this blog explains the places good enough. If anyone has any further information, please share. I have not stayed at any hotel in town, no need to, but I wouldn’t mind any of the ones I have listed. I prefer I’s Plant now that they have the pool although Marju Krisel is a good choice also. The restaurant at I’s Plant is pretty good. I wish they had Wi-Fi in all the rooms instead of just the restaurant. John needs to check out SO Café. It is my favorite place to eat in town. Jun, the owner at SO Cafe, I met him early when I arrived in Calbayog to live as he made our engagement party and our wedding cakes. The ribs there are good but the sauce a bit heavy for my taste. If you like desserts, the red velvet cakes are killer, his homemade daily fresh oatmeal raisin cookies are a handful. My personal favorite flavored drink there is the black currant smoothie , of course Flor does Mango shakes all the time. Jun holds a once a year Valentines dinner with band at P350 a ticket but with food it is well worth it. Lots of entrees, salads, side dishes with one drink and one special dessert included, plus dessert on the food bar. I met Jun back in December 2012. My wife, son and I went there for lunch one day and he was at the table next to us. My wife always has the ribs. She has become a ribs fanatic ever since the first time she ate ribs 6 years ago. She didn’t know what the bowl of water was for so she thought it was soup. I still tease her about that. I usually have the tacos. They are not great but by Philippine standards, they are ok. Desserts are always good and my son loves the place because they have the toy store in the back. Okay, so get the ribs, tacos so-so and the bowl is not soup. Got it. I’m not much for eating dessert, although you couldn’t tell by looking at me. Of course I’d love some cobbler or a nice pie. I’m not too much into cakes. Well to me it’s not so bad to have some of the food chains. I don’t consider chicken as fast food though, no not even KFC. It might be, but I don’t count it. I think it’s also good to have a nationwide pharmacy around too. Mercury and Rose are the only 2 drugstores in town that I can use my Tricare at, so those are necessary for me. On our last trip to Samar, Resiel and I ate there four or five times. The food was very good every time. It was clean with good service. 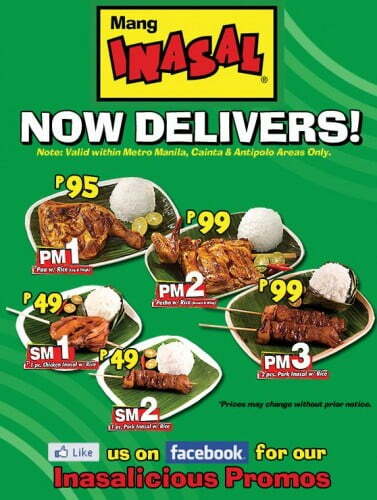 We eat at Mang Inasal often specially during brownouts they have a huge generator and have air con and ceiling fans working then, Flor anf I both love the boneless Bangus, if i’m really hungry I gret the pork inasal too, pork on a stick, Flor eats my rice , her rice, my soup and her soup, sooup is included and unlimited rice just for asking. The only thing I’ve ever gotten there is the chicken w/rice and that’s good enough for me. If I get an extra rice, I eat it. I’ve never had more than 2 scoops there anyway. Of course, looking at my waistline, I don’t waste too much food anyway.